Sooo..you normally yell at the screen cause you can't imagine how the person can't answer some of those questions...Well...now it's your turn. THIS IS Je' PARTY...!! 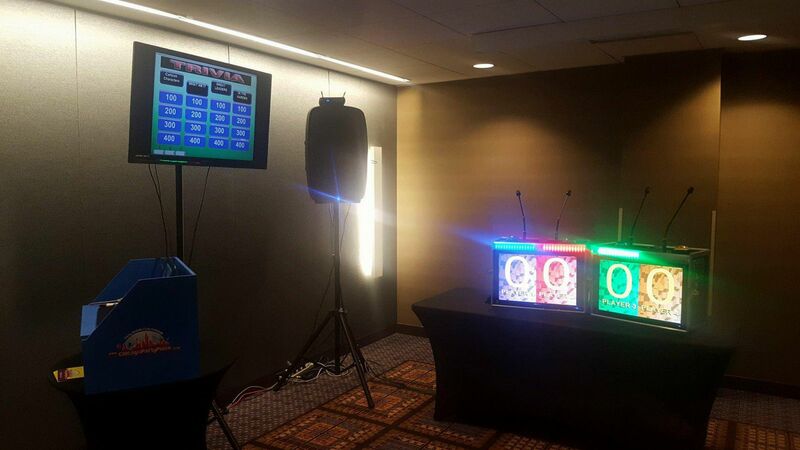 Similar to that popular game show..We provide the contestant consoles, the game board (via digital monitor or projection screen), the sounds, the questions, the answers and, of course, the host...Your mission, should you choose to accept it...is to provide the teams. Add all of this up, and you've got yourself a hilarious version of the popular TV game show. We provide an outstanding recreation of the popular TV game show. 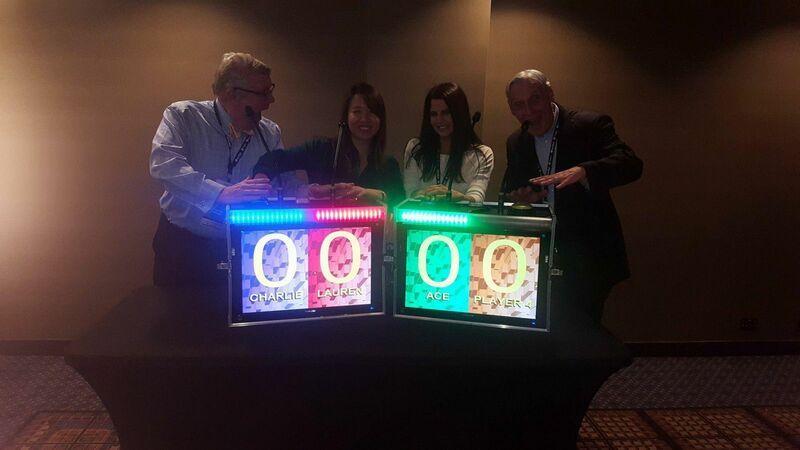 This game is popular for all ages...and we can customize the questions or you can just let us choose the right ones for your event. We can use music, video and even pictures, assign "Daily Doubles" and "Final Jeopardy" questions. This game works for kids and adults, Battle of The Sexes parties, Baby Showers, Bridal Showers, Weddings, Birthday parties, Corporate Events, and even education/training sessions. It fosters fun, interaction, and just gut busting fun!!! Some of our Daily Doubles are physical challenges...We can play with two to 4 people. We also have many other game options...including Team Battle, Squares of Hollywood, Name That Tune, Extreme Bingo, Wheel of Misfortune, 60 Second Challenges and Rapid Fire Trivia.